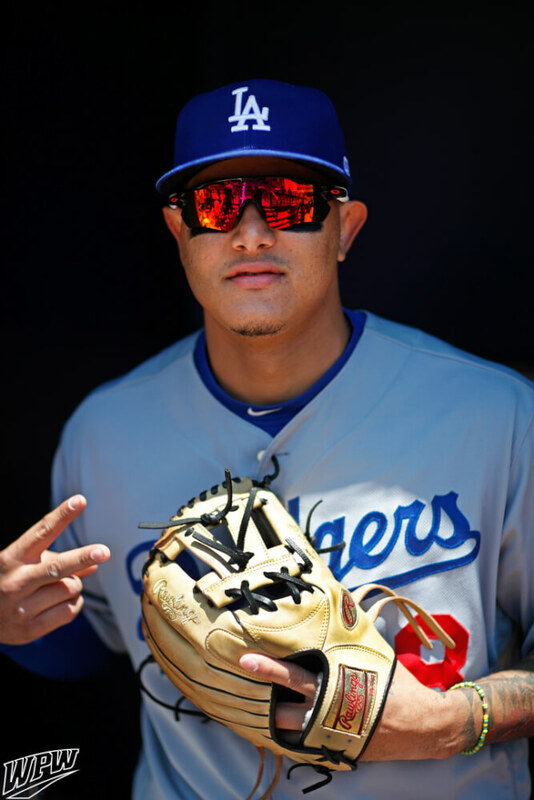 Dodgers shortstop Manny Machado is wearing a Rawlings Pro Preferred PRONP5-7KCPRO in tan, with a V-web, and those exclusive gold Rawlings labels. Machado’s glove length is 12″ inches. Pro Preferred = kip leather. (For more on Pro Preferred vs Heart of the Hide, see our post about it.) Manny has “Faith” embroidered on the thumb. With Machado’s simple and natural look, all you need are the gold labels to stand out. You can get the model (without the gold) at the link. Categories: Gear, Glove, Los Angeles Dodgers, Shortstop, Manny Machado.